I just moved back to New York after three years in Israel, and so it feels appropriate that my first blog hop home be a celebration of America. I loved my time abroad, but it certainly made me appreciate a lot about the US, and my husband and I are happy – and very ready – to be home. I’ve always enjoyed the Fourth of July with its fireworks and festivities. We used to sneak up to the roof of our apartment building to watch the big show, and I’ll always remember the cool whip-frosted cake decked out with blueberries and raspberries to look like an American flag, that my mom made one year to bring to a party at a friend’s house. For Independence Day, I always think of all-American dishes that are perfect for a summer barbecue or potluck. 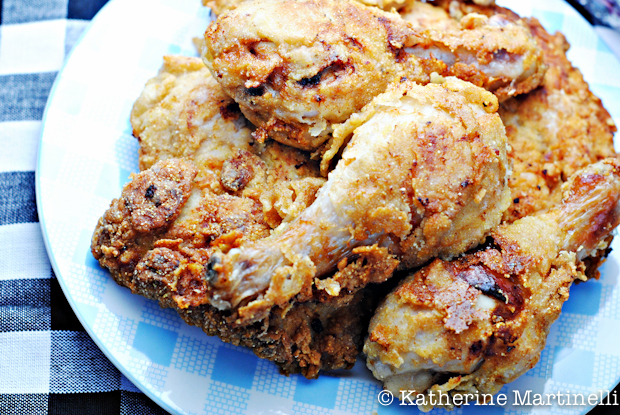 You can’t go wrong with fried chicken in my book, and this buttermilk fried chicken is amazing right out of the fryer or cold the next day, so it’s great for a picnic while watching fireworks. 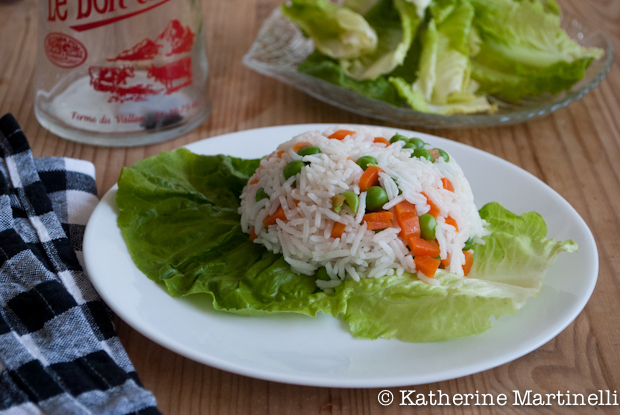 If you want a simple side that’s chock full of Americana, then check out this American Rice Salad recipe I found in the 1921 Brewster Book of Recipes (by the Woman’s Association of Brewster Congregational Church and their Friends, Detroit). It’s easy to make and goes with just about everything. 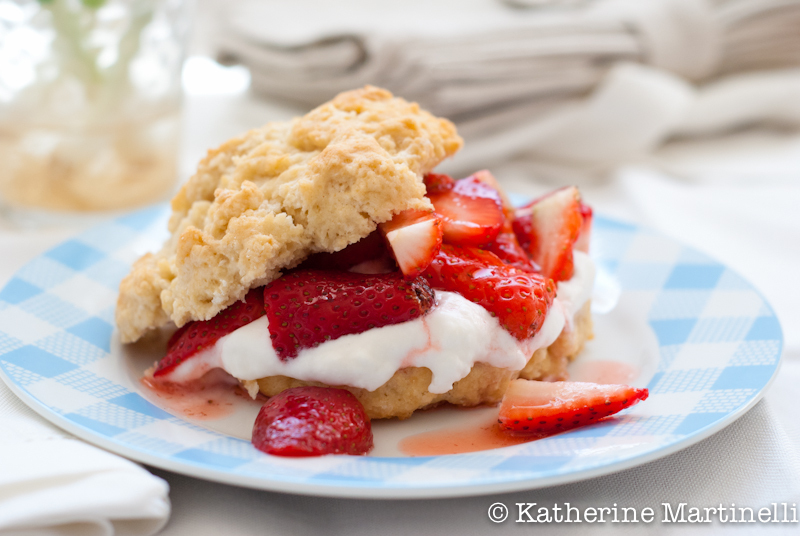 For dessert it doesn’t get much more American than Strawberry Shortcake, one of my favorite desserts of all time. Throw in a few blueberries to the mix to make it red, white, and blue! Welcome back to the United States! I will miss your wonderful reviews of life and eating in Israel! It has bees such a treat, but I look forward to your new adventures back in New York. What perfect timing to come back to America just in time for the 4th of July! Welcome home! Can’t wait to follow your American adventures! Glad you had a safe and successful trip back to New York! And you’re right, this is the perfect hop for the occasion. 🙂 When I think of the fourth of July, I think of watermelon. You can’t have a celebration without it. So I’ve linked up my watermelon coolers. Enjoy! Thanks for hosting a great hop and hope you have a wonderful weekend and Fourth of July! That buttermilk fried chicken looks amazing! Hope you had a good move back to New York; we definitely need to meet up soon! So happy your move back to the US was uneventful! What a terrific experience it must have been to live in Israel! And so appropriate, as you say, to be returning in time to celebrate July 4th. Good stuff, and lots of great links to look at. Thanks. Nice to hear you have settled back home:-) Regards from Finland! Welcome home – and yes, very fitting it is just in time for 4th of July celebrations! What a great time to be back home!